Students from Silver Schools, Cobre and Lordsburg exhibit imaginative works of art. The exhibit features works from over 450 students at Western New Mexico University's Miller Library. Arte Para Todos or Art for All, is an initiative that brings arts learning experiences to underserved and rural communities. Arte Para Todos teaches about art, artists and cultures through hands-on art projects. This long running fund raising event for MRAC programs is back from a brief hiatus. Join us on January 13th for a special night of music, dancing and desserts. This new offering for students and teachers aims to bring regional blues musicians to classrooms and school assemblies. Each artist shares a unique mix of performance and lecture with students in a fun interactive presentation. The National Endowment for the Arts has awarded MRAC with a grant to create four pop up arts centers in Grant County. These temporary Casa De Artes run two weeks and include an exhibition of art works, adult/teen workshops and a Saturday Arts camp for children. Chocolate Fantasia is a delicious way to spend a day with your sweetheart or family! Tickets make great Valentine’s Day gifts! Come for the day or stay the weekend. We guarantee a truly delectable visit. Formerly known as Fine Art Fridays, Creatives in Classrooms brings artists and performers into classrooms of kindergarten through 5th grade in 3 districts and 15 schools. The goal is to introduce students to local and regional creatives demonstrating their talents and pursuits of excellence. IMAGINE THAT - An Art Museum In My School! The Mimbres Region Arts Council will create a travelling art museum, providing arts based programming that nurtures vital 21st century skills of creativity, collaboration, communication and critical thinking. Funded in part by FreeportMcMoRan ; Janey Katz & Suzi Calhoun. 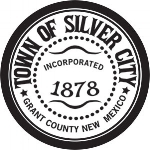 The Silver City Blues Festival has grown into one of the largest events in southwest New Mexico, bringing national and international performers to the stage. Attendees bring their families to the park for fun, music, arts & crafts and great food. The Southwest Print Fiesta! features original fine art prints, letterpress creations, printed wearables and more for sale by regional artists and print studios. In addition to the Artisan Marketplace, the SWPF includes a steamroller printing, artist demonstrations, street printing, workshops and more. The Writer’s Eye Competition links the inspiration of writers to the creative vision of artists. Participants are invited to visit the exhibition featured in the IMAGINE THAT- Travelling Art Museum program and write a poem or short story in response an artwork. Youth Murals is a program that transforms the vision of local artists into an educational opportunity for our youth. Local professional artists work with students in schools to design and produce murals.